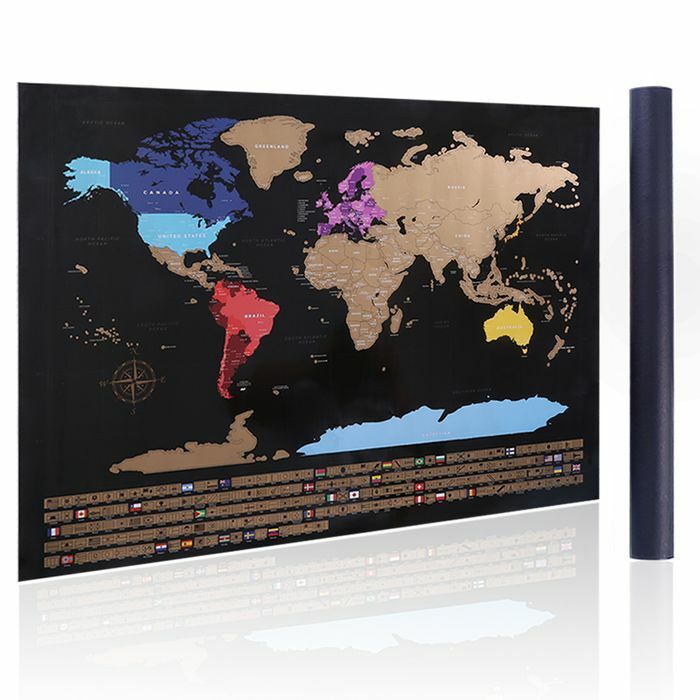 You can get this scratchable world map reduced from £14.99 to just £7.49 with Prime delivery. This makes it HALF PRICE. It is a great gift for the travel enthusiast, for students, for friends' birthdays, for Teachers's Day, for coming Christmas and for lovers' anniversaries, and so on. You can use this map to scratch wherever you go and plan to go, share your journeys with family, and decorate your home. You can use this map to teach your kids to know more about the world by scratching every country or city on the map together, it creates fun when learning geography. It comes in a exquisite tube package with a free scratcher. hope you will like it, you can buy it directly on Amazon.